This is part four of a series. Here is part one, part two and part three. A wide shot of the yard looking west from the area of the engine service facility. The yard entrance with the west freight lead in the foreground. Same spot now looking east. The spur to the left leads to a lumber company, the track to the far right is the east freight lead to the NEC. 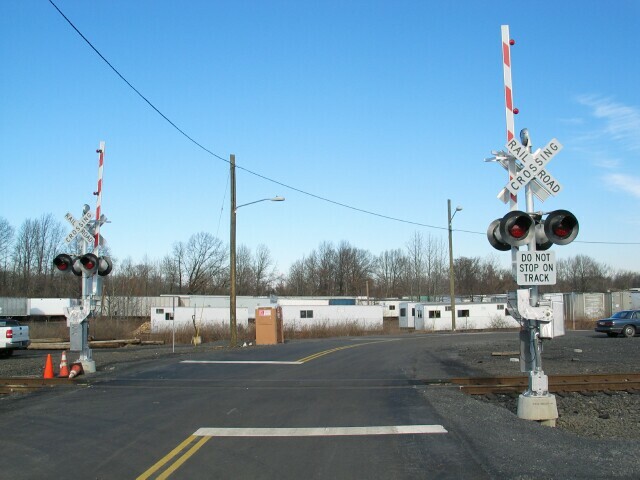 At the vehicle entrance to the yard is a new grade crossing for the west freight lead. 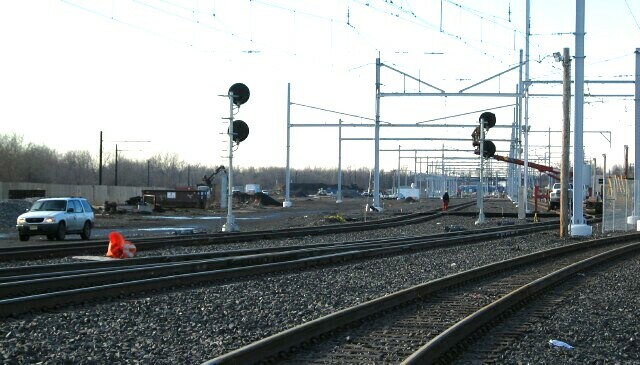 The new signals will be cut in this month. There are no passenger facilities such as station platforms, parking lots or major access roads at the new yard, and there will probably not be any for the foreseeable future. Phase I was the yard as it stands, Phase II would double the storage yard, but that is where it will stop for now. 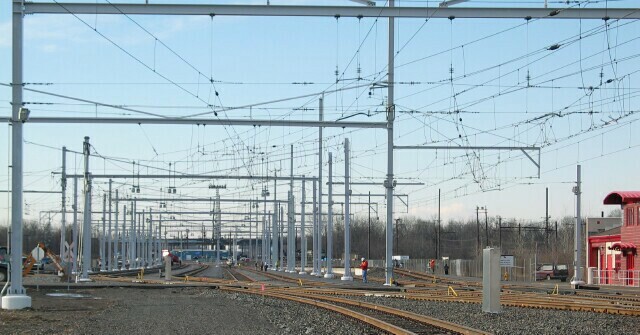 New Jersey Transit had to fight many politicians in New Jersey just to get the yard built, mainly because it was in Pennsylvania, and the yard will directly benefit the residents of New Jersey by making better use of the Trenton Station. 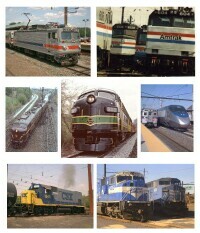 Expecting New Jersey tax payers to pay for a passenger station in Pennsylvania is beyond hope. In addition, the many Pennsylvania commuters that currently cross the river to catch the train in Trenton are viewed as a major revenue source by many businesses in the city, and they are loathe to give that money up. SEPTA does not want to see Pennsylvania or federal tax dollars going toward a project that will not help and may indeed hurt its ridership, especially on the R7 Trenton Line. 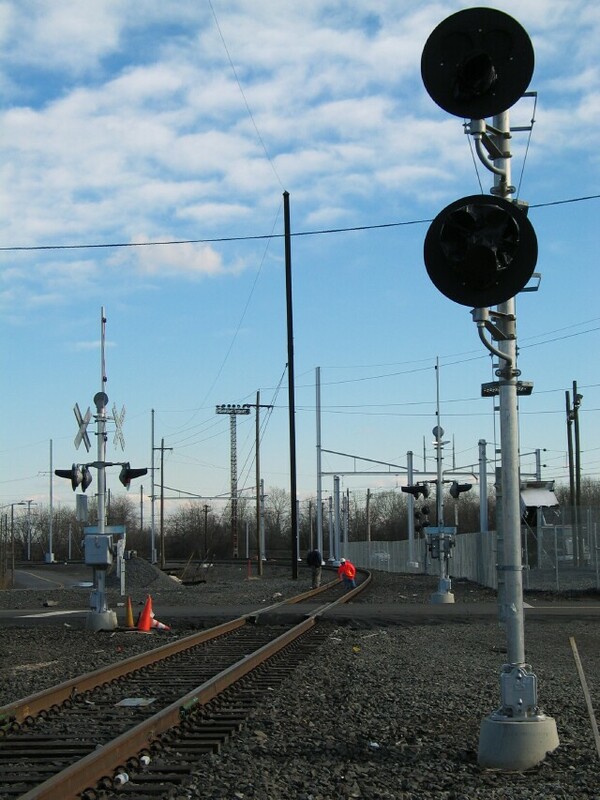 There is no practical cost or time efficient way to integrate a station in Morrisville Yard with the R7 Line, as it was built as a terminus for NJT trains whose last stop west is Trenton. 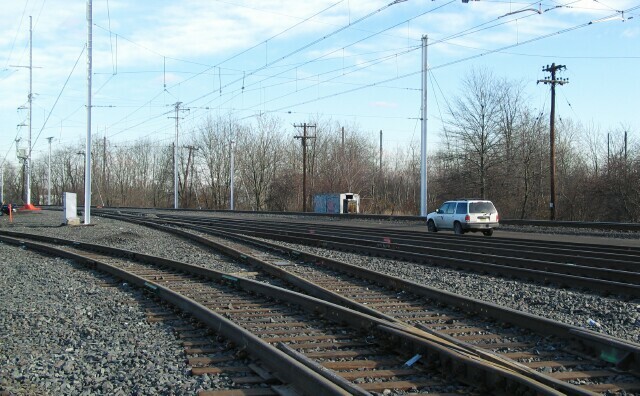 Morris Interlocking, where trains from Amtrak's NEC access the yard, is between SEPTA's next to last R7 stop (Levittown/Tullytown) and its eastern terminus (Trenton Station), effectively requiring trains to back track into what would become a stub ended terminal (like the old Broad Street Station in Philadelphia). The only real possibility as it stands now would be a station (actually the eastern terminus) as part of the Cross County Metro. The proposed CCM follows the former PRR Trenton Cut Off (now the NS Dale Secondary and NS Morrisville Line) 48 miles from Morrisville, Bucks County, through Montgomery County, to Glenloch, Chester County. It could connect to several of SEPTA's current lines including the R7 Trenton, the R3 West Trenton, the R2 Warminster, the R5 Lansdale/Doylestown, the Route 100 Norristown High Speed Line and the R5 Downingtown, and parallels the Pennsylvania Turnpike for most of the way, offering commuters bound for New Jersey and New York the opportunity to use park and ride lots. However, SEPTA is already backing the Schuykill Valley Metro, and it is doubted that it could come up with the money for two billion dollar projects at once.